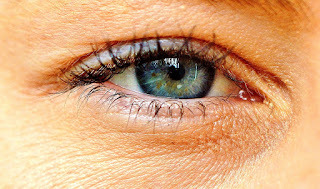 A pterygium condition of your eye is when a lump of tissue develops into a triangular shape and it generally grows from your eye’s conjunctiva onto your eye’s cornea. It may occur in one or both of your eyes and it will normally form in the area next to the nose. In the past, there was a debate about which approach would be the best option for pterygium surgeries, and whether doctors had to use fibrin glue or sutures to do conjunctival grafts. Both of these procedures had their advantages and disadvantages in terms of factors such as recurrence, cosmetics, surgical time and postoperative complications. However, there is now a new procedure where doctors use the blood of a patient to fix this condition. Though it’s not yet been tested by a controlled randomized trial, most of the earlier results suggest that it can reshape this debate altogether. Auto-grafts of the conjunctival by using the suturing procedure is generally rated the gold standard. Additionally, these grafts are very stable and also its recurrence rate of about fifteen percent is a plus point. Though, its cosmetic results were only acceptable and not really good. On the negative side, this surgery in itself may take thirty to forty minutes, as well as having problems that are suture-related. These can include granuloma formation, chronic inflammations, and postoperative discomfort. Doctors have used fibrin glue in different surgical procedures such as corneal perforation closures and corneal lamellar grafting. Lately, they also use it for suture-free conjunctival auto-grafts which offer a significant improvement. The fibrin glue is simpler and faster and works nearly every time. The time for surgery is cut closely to half the time of a sutured procedure, and most patients have reported less discomfort and postoperative pain. Except for the fact that fibrin glue cost more as what sutures do, it’s also difficult to obtain in certain countries. Because the glue is a product that is blood-derived, it might carry a risk for potential transmission of prion and viral diseases. These risks are basically theoretical, although, it can be a big issue and more importantly there might be a risk of dehiscence. The newest procedure is a graft auto-blood fixation, which is a technique that is also called glue and suture-free autologous graft. Problems, discomforts, and costs related to the other two procedures can be avoided with this new procedure. Except for the fact that an autologous blood procedure is natural, it has no associated risks or extra cost, and it will overcome any postoperative irritations that patients might experience to a huge degree. In this procedure, after the surgeon removes the pterygium, as well as associated conjunctivas, he/she will allow a very slim layer of blood clotting to form on the area that is bare. Any extra bleeding can be stopped by using a surgical tampon directly. After this, a slim conjunctival Tenon-free auto-graft, either with inclusion or without some limbal stem cells will form. Once the graft is properly aligned, it’s placed in the area that is bare over the layer of blood. With forceps, the doctor will hold the edges in place, normally for about 3 – 5 minutes in order to have enough time for the graft fixation to take place. Like any procedure that is new, auto-blood fixation grafting involves some learning curves. Although, this procedure probably is less challenging as what glue or sutures are. Any patients that use certain blood thinners or aspirin regularly, or when they suffer from a condition of coagulation deficiency factors, won’t be candidates for undergoing auto-blood fixation grafting. One of the disadvantages might be a graft loss risk immediately in the period of postoperative. However, once a graft stays in its place for a time period between twenty-four to forty-eight hours, it will stick around. In a case study that involves sixty-three patients over the period of one year, not one lost its graft. The risk factor for recurrence is very low if the procedure is performed properly. Among fifty test subjects that received a procedure of auto-blood grafting, not one experienced any recurrence over a timeline of 4 years.